PUNK IN WALSALL COMES TO BRUM! Following its successful run at the New Art Gallery in Walsall last month, the Punk In Walsall: Life and Legacy photographic exhibition is now coming to Birmingham, where it will be on view from 16 January to 6 February at the Parkside Gallery in Birmingham City University. 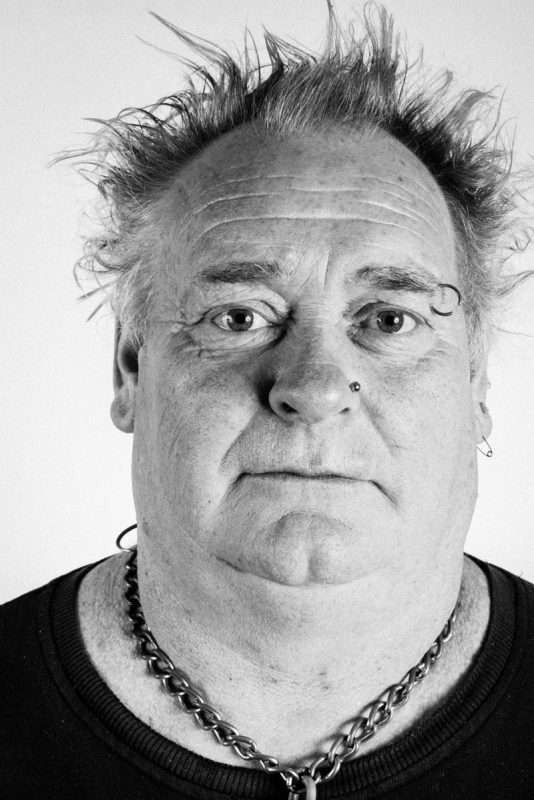 The exhibition is a unique collection of specially commissioned portrait photographs and interviews with punks from Walsall, reflecting on what punk meant to them at the time, and still means to them decades later. The exhibition is open to all, entry is free, and visitors will be able to take a copy of the free newspaper produced as part of this project. The exhibition was made possible through a Sharing Heritage grant from the Heritage Lottery Fund to Walsall Creative Factory, an organisation founded to develop and deliver exciting and dynamic arts and heritage projects and events with local communities, and to celebrate diversity and culture. The Parkside Gallery is open 9am-7pm Mon-Fri, and 9-6pm on Saturdays. ‹ THE VELVET HANDS VIDEO EXCLUSIVE!